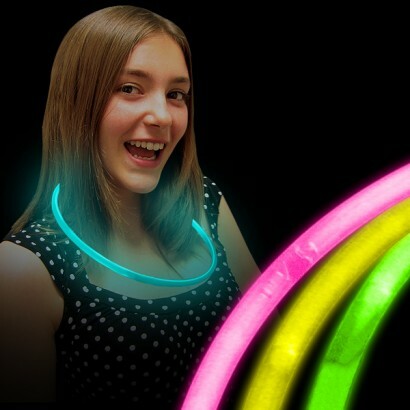 High quality yet cheap Glow Necklaces 22" one piece Glow in the Dark Necklaces. Each glowing necklace has CONNECTORS ATTACHED so no fiddling required! 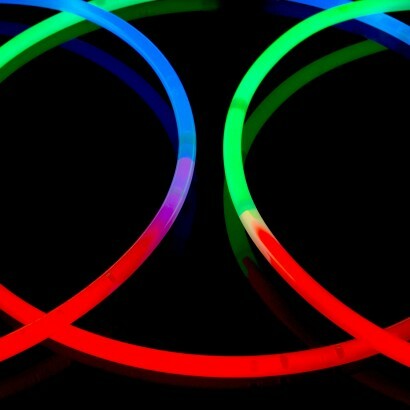 Choose 3 colours in one or single colour glowstick necklaces, mixed colour packs contain green, blue, pink, yellow and orange glow necklaces. FRESH - 2 year shelf life guaranteed. Great product, as described and quick delivery. 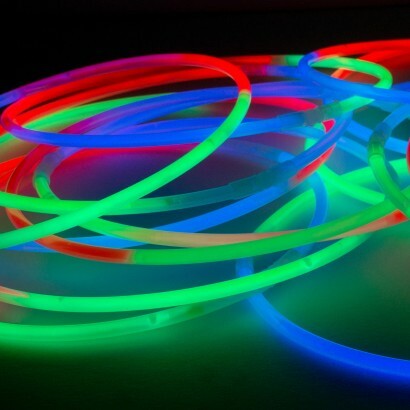 The glow necklaces were a great success. We had a party for my son's 21st and husband 60th so a mixed age group everyone loved them the dance floor was glowing. 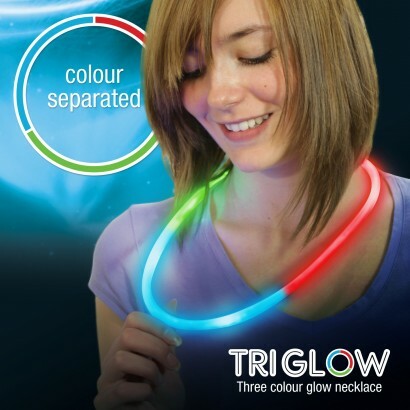 A UV party essential! A brilliant versatile product. Buy as many as you can afford. 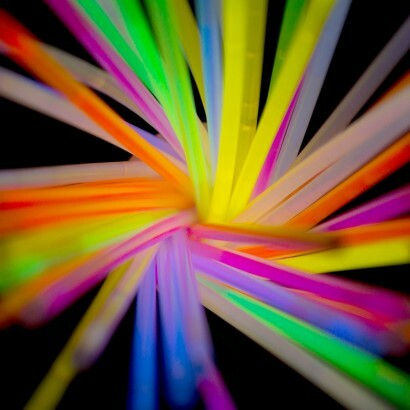 Glow sticks were great and arrived well packed and promptly.